Dwayne Michael Carter, Jr. et al. 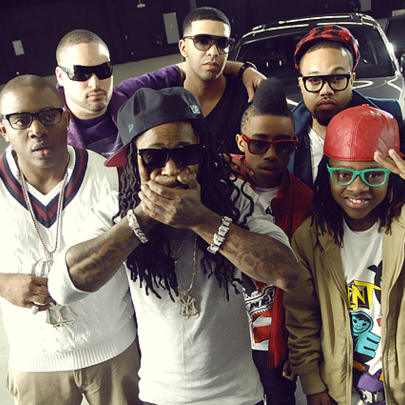 As most of you probably know, Young Money Entertainment is Lil Wayne's imprint, a derivative of Birdman's Cash Money Records that's home Austin Mahone, Chanel West Coast, Christina Milian, Cory Gunz, DJ Khaled, Drake, Euro, Flow, Gudda Gudda, Jae Millz, Lil Chuckee, Lil Twist, Lourdes Rodriguez, Mack Maine, Nicki Minaj, PJ Morton, Reginae Carter, Shanell, Short Dawg, T-Streets, Torion Sellers, Tyga and W3 the Future. Eight #1 albums have come out of the Young Money camp thus far: Nicki Minaj's Pink Friday: Roman Reloaded, Wayne's Tha Carter III, IV and I Am Not a Human Being, and Drake's Thank Me Later, Take Care and Nothing Was the Same. Mack Maine is the current president, by the way, Wayne and Cortez Bryant having handled the position before him. Also, Detail and The Olympicks serve as in-house producers. Wayne, Drake and Nicki Minaj are the imprint's most successful artists to date. Eight #1 albums have come out of the Young Money camp. Young Money is an imprint of Birdman's Cash Money Records. 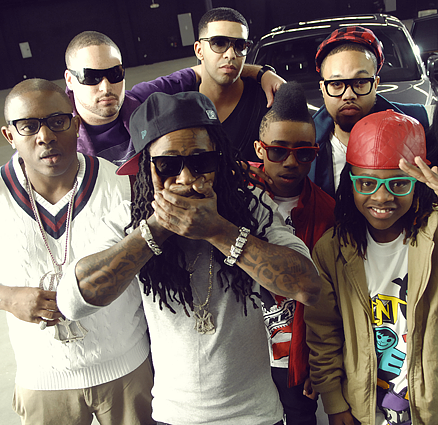 Together, they form YMCMB. Lil Wayne stepped down from the presidency in October 2007. Young Money Entertainment is distributed by Republic Records. Is Lil Wayne's "Tha Carter V" Really Dropping At Midnight?